You’ve been cordially invited into the mansion of the prime young fox to embark on an evening of online slots 5 reel gaming. He’s a generous old fox and happy to give away portions of his wealth for only a small price. 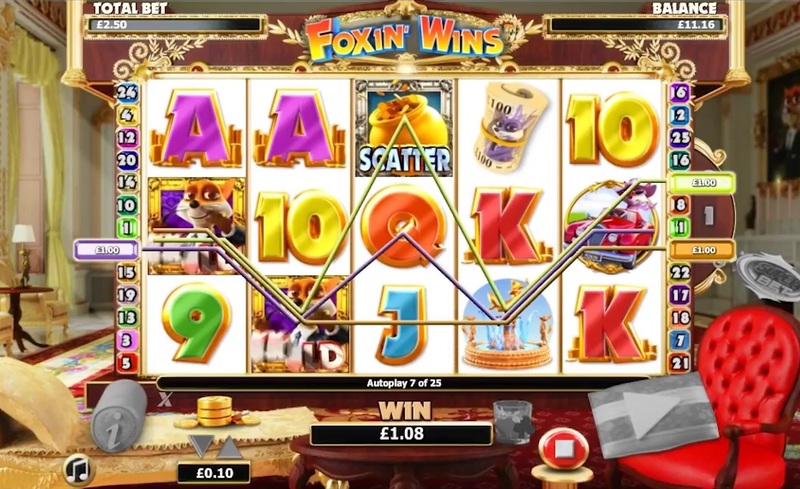 Don’t miss the opportunity on free spins and multiplier bonuses but only if you’re cunning enough to take part and feel you have the capabilities to outfox a fox! To discover more easy slot games Click here. Get ready for some extraordinary seafaring fun shipped straight in from those gaming geniuses at NextGen. 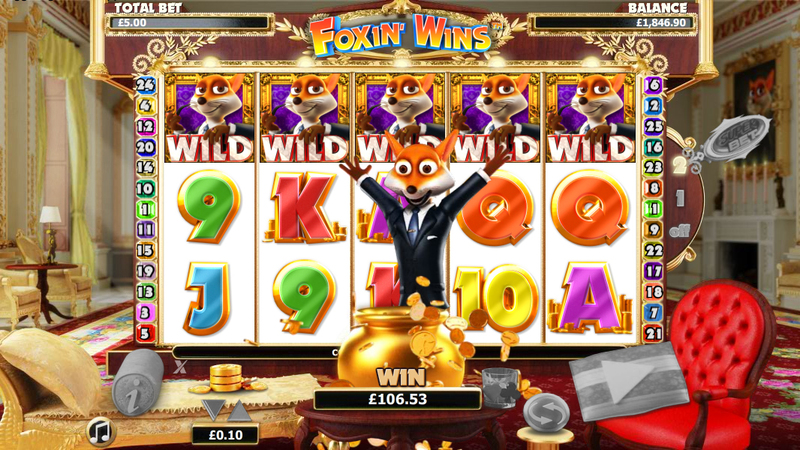 Foxin’ Wins Again is a 5 reel, 50 pay line online slot game loaded with amazing graphics, catchy audio, cool, quirky characters, and massive wins aplenty! Set on board the luxury yacht of this ridiculous rich Fox, you’ll be overboard with bonus features and splashed with multipliers before you get back to shore. 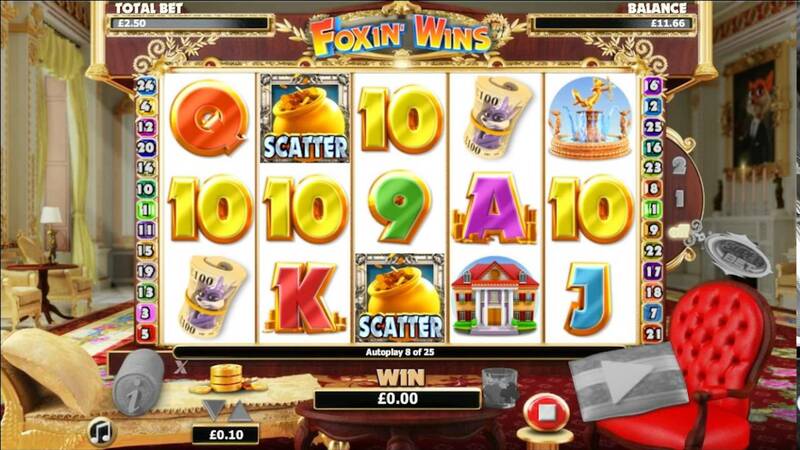 Foxin' Wins Again can be played from £0.01 to £2.00 per spin, or played for fun (although, really, it’s always fun!). And the fun starts with Foxin’ himself. With his rich little furry paws on the wheel of the ship, his symbol is the Wild of the game and can substitute for any other symbol in the game except the Scatter. Two Wild symbols alone will trigger a 10-coin win, while 5 on a pay line will release 2000 coins back into our pot! Joining Foxin’ on the reels are playing card symbols 9 through A, and seafaring symbols in the onboard Compass, a cheeky Cocktail from the bar, the Yacht itself, and Fox's chilled Missus – the most valuable symbol of the regulars, with a 1000-coin return for 5. The ship’s Bell is the Scatter, and also pays out massive returns (up to 5000 coins! ), as well as triggering the Free Spins feature. 10 Free Spins are triggered by landing 3 or more Bells on the reels, and while we might want to just spin away, at this point we should take note of the Superbet facility. With two levels of Superbet available, by increasing our wager we can add Fox's Pups to the reels. These Pups will literally jump at the chance to turn additional symbols Wild during the spins. This feature can make some regular wins good, and good win great! Hats off to NextGen (or should that be Captain hats on?!). 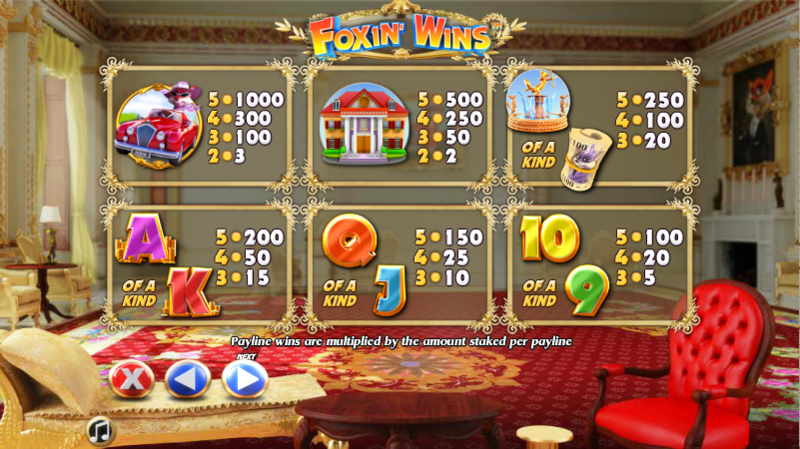 Foxin’ Wins again is a wonderfully entertaining online slot game, with a massive number of ways to win. The 3D-like graphics are top-notch, the audio is catchy, and the SFX from the Fox Pups are utterly adorable! Dream Jackpot recommends an ‘All Aboard’ scenario with this one, 10/10. If you liked Foxin Wins you might also like Treasures of Tombs online slot game.